The BDS is now available with 4-pin HRS outlets. With its fast push-on, pull-off design, the 4-pin Hirose connector has become the standard for compact, locking, low current power connectors. So, Remote Audio is happy to offer the connectors as an option on our famous BDS distribution box. These 4-pin connectors are more expensive, but they are much easier to manage in tight spaces, so still preferred by many. 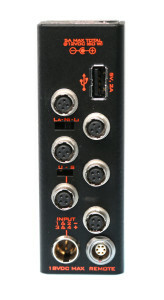 Other than the use of these connectors, the BDS v4 remains unchanged. The BDS is still available with the original, sturdy, Switchcraft concentric connectors, but now there is a choice.